We had a very productive weekend. We worked at the Inman Park United Methodist Church along with members of our Sunday School class. It was part of Great Day of Service and more than 1,500 people volunteered. It was a great day of fun and fellowship but we are exhausted. But, I am BEYOND excited for this weekend. 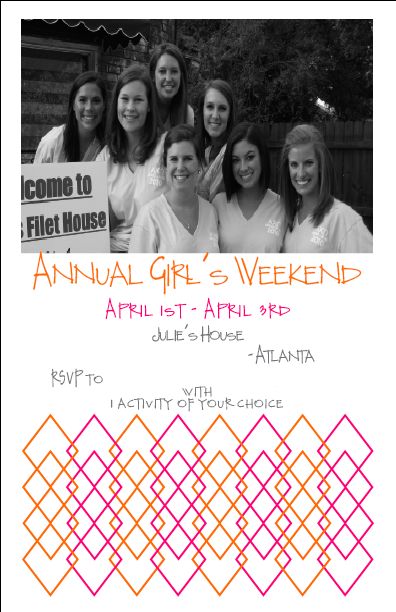 My sorority sisters are coming to the ATL for our annual girls weekend. Last year was the beach, this year Atlanta, next year ???? This week will be busy with cleaning, baking and preparing for their arrival. I love visits with friends! I will update you with our activities sometime next week.